This safe, non-toxic and simple to clean Chad Valley Be U Lipstick and Brushes Make-Up Set comes with twelve (12) each of wax eye shadows, powder eye shadows and lip glosses plus six (6) powder blushers, five (5) make up applicators and an empty compact with mirror. 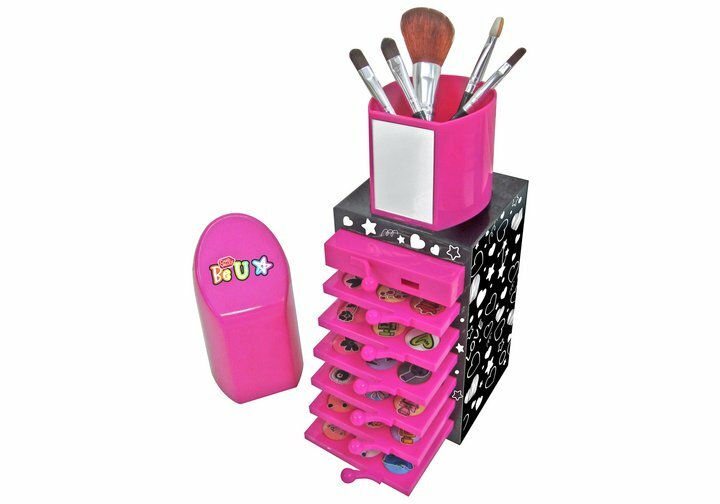 With such a wide array of goodies this make-up set is fantastic gift for a special occasion; stimulates creativity and imaginative play as your most cherished finds their 'look' and discovers themselves. Get money off with April 2019 free Argos voucher codes, see if there's a promo code for the Chad Valley Be U Lipstick and Brushes Make-Up Set product. Argos may be out of stock of this product. To enhance your shopping experience you may also be redirected to a search results page when you click an outbound link.